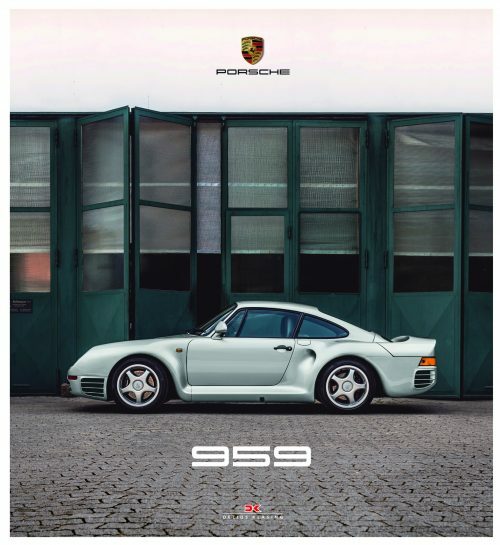 Porsche 959 has always been regarded as one of the most exceptional vehicles in automotive history: a technical marvel with its all-wheel drive, a refined biturbo engine, 450 PS and a top speed of 315 km/h – still breathtaking 30 years after its first roll-out. 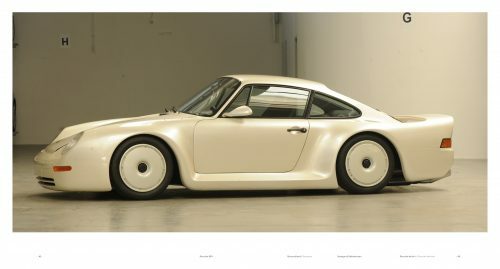 The idea behind this tour de force was to build a Porsche that fitted the new Group B regulations just established in 1983: the Group B Porsche. 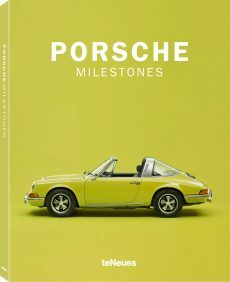 The regulations demanded just 200 vehicles for the homologation, that is why Porsche was able to turn the technological knowledge of that time into a super Porsche equally suitable for the race track and for rallies which was the intention of the new racing car series. 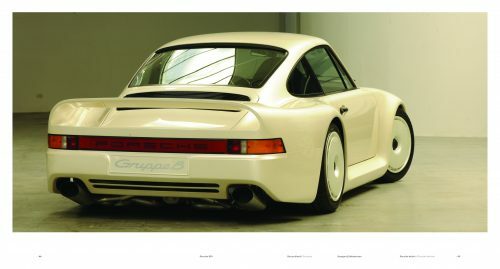 Apart from the races, the homologation vehicles were also meant to go to private owners for the use in road traffic. 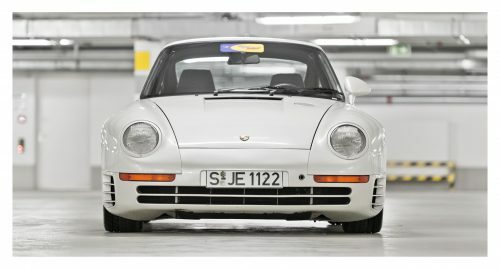 The Porsche 959 excelled in all of the tasks. 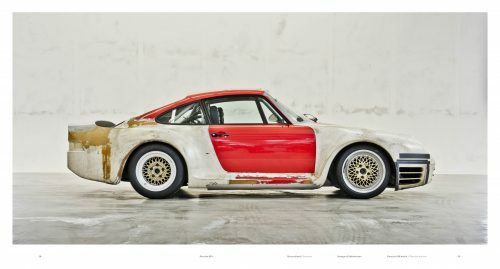 It won the murderous Paris-Dakar rally, prevailed in Le Mans as the first all-wheel drive racer against racers with more PS and delighted its customers with road performances never seen before. 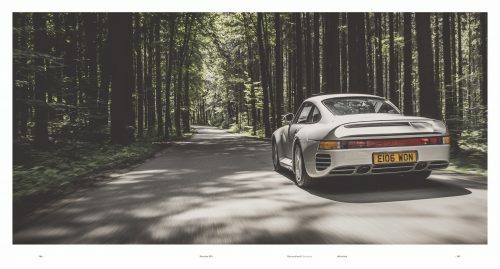 The surprising end of the Group B regulations, enforced by the motorsports authorities after deadly accidents at the World Rally Championship, ended the motorsports career of the 959 before it had really begun. 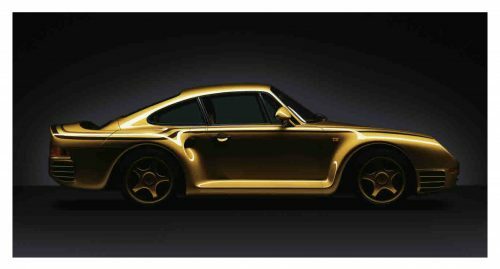 But the about 300 vehicles that were built, still tell the story of a fascinating car that became a celebrated and precious icon over the last years. 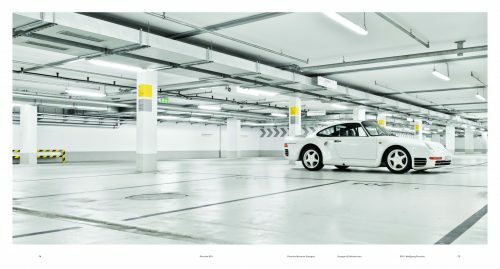 Jürgen Lewandowski witnessed the development of the Porsche 959 more than 30 years ago and describes the difficult birth of the super car including the three Paris-Dakar rallies and the Le Mans race. 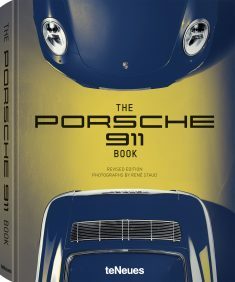 A fascinating boxed set with three volumes on different topics: technical data, history, and a large-format illustrated book that shows the 959 genesis including all derivatives and new photos of the most beautiful specimen. 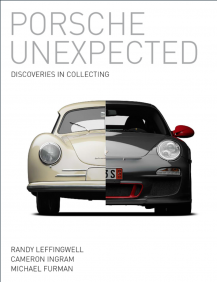 After 30 years, this comprehensive work presents even the minutest details, it comments on events in the past, and contemporary witnesses have their say – all in all it is a literary monument to the Porsche 959.